Concrete walkways within your yard can provide dimension, depth, and detail that can’t be found with any other accent. Walkways can be specially designed to be the shape, size, and length you need, as well as being able to be customized to the color, texture, and pattern you want. Our professionals will work with you to provide a flawless walkway that provides your home with beauty and class. Our skilled concrete team can perform your installation alone or in partnership with a patio installation to give your home a completely unique look that you’re proud to show off. When you need private concrete sidewalk installation around Waco and Temple, TX, call our experts at 254-716-8685 for professional installation and creation that’s exactly what you’ve been looking for. When you rely on the experts of eSquared Asphalt Maintenance for your concrete sidewalk in Waco and Temple, TX, you can rest assured that our crafters will work with you from the first evaluation to the last inspection to ensure that you are completely satisfied with the project. Our experts will begin your project with a comprehensive inspection of the area. We will discuss your options and goals with you, explaining material features and lifespan, as well as installation processes to ensure that your finished product is exactly what you want. Once our professionals have a work plan in place, they will fully clear and clean the area, and apply the sub-base for proper aeration and setting. We will create and set each form and pour your concrete with complete precision and care to form a smooth, even surface. Our concrete sidewalk specialists in Waco and Temple, TX will then go to work forming, smoothing, and texturing your walkway for a perfect, uniform appearance. We will form any patterns, stamping, or texturing you would like with accuracy and skill, leaving you with a finished walkway that you can be proud of for years to come. Our expert workers stay in communication from beginning to end to ensure that your new walkway realizes all of your expectations. We will work with you and stay within almost any budget to help you realize your dream yard. 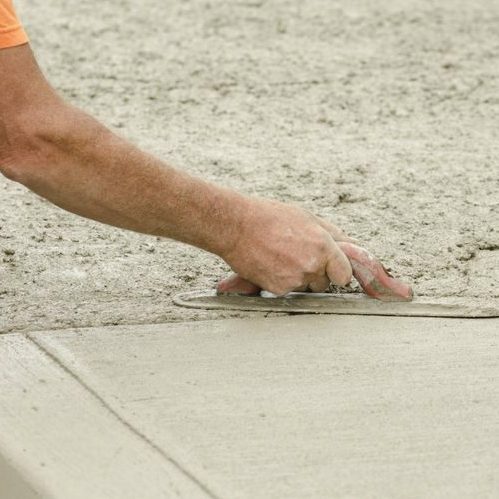 Our crew of workers can deliver a concrete sidewalk installation in Waco and Temple, TX that will truly stand up to every expectation and amount of use. You can reach us today at 254-716-8685 if you would like to set up installation or make inquiries about our service.